Social media can be a very inspiring thing. Seeing everyone that you follow succeed in life makes you want to do the same. At the same time, it’s also made getting closer and in contact with famous people, celebrities, business owners, and entrepreneurs a whole lot easier. The big dilemma with individuals and brands when it comes to social media is figuring out how to best optimize and monetize such audiences. One of the best ways to accomplish this is to see what other big brands and successful marketers are doing with their social audiences. To find the best results, it’s always recommended to try and niche down as much as possible. A clear example of this can be seen when you dive into smaller niche markets. Three examples of this can be seen within different niche markets below. Blogher Speakers – An event focused on women empowerment, entrepreneurs, and taking advantage of everything around you. Not only does this event bring audiences from around the world, it also highlights top celebrities and entrepreneurs who inspire others with their own success stories. Fitness Experts – When it comes to weight loss and health, it’s something everyone is interested in. However, not everyone has the time or money to pay for a personal trainer. 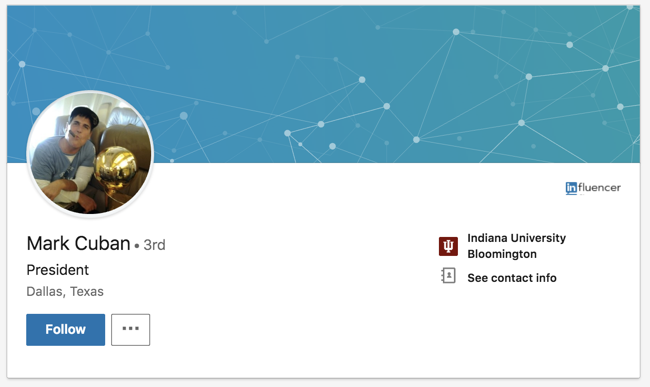 Again, through the power of the internet, connecting with influencers and entrepreneurs in the fitness space is easier than ever. Online Marketing Bloggers – The world of online marketing is vast and wide, and there are many smaller niche markets within it as well. Branding is something many entrepreneurs and bloggers have done an excellent job with, while also scaling their reach into real businesses in the process. For bloggers, content creators and business owners… this all applies to you as well. Following and reaching out to influencers within your space is a great way to improve your knowledge and personal connecting. 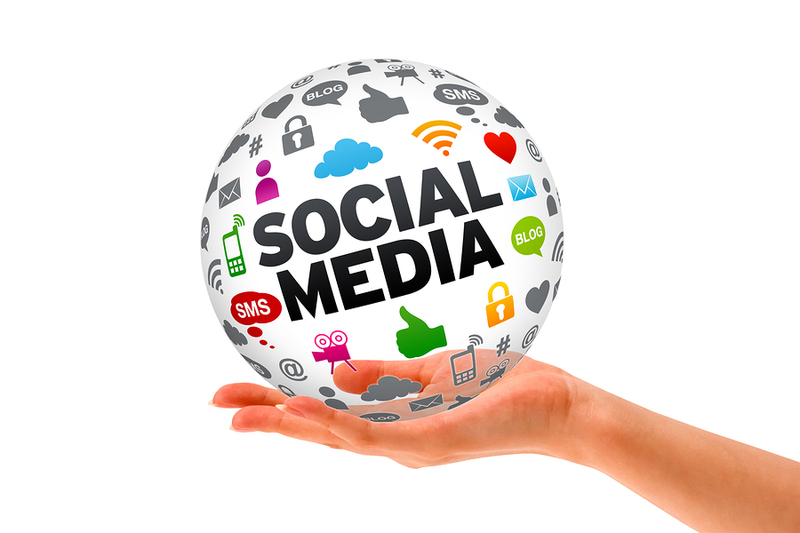 At the same time, one also needs to understand how to take advantage of growing a social media following, then converting those users into real leads, revenue, and email subscribers. 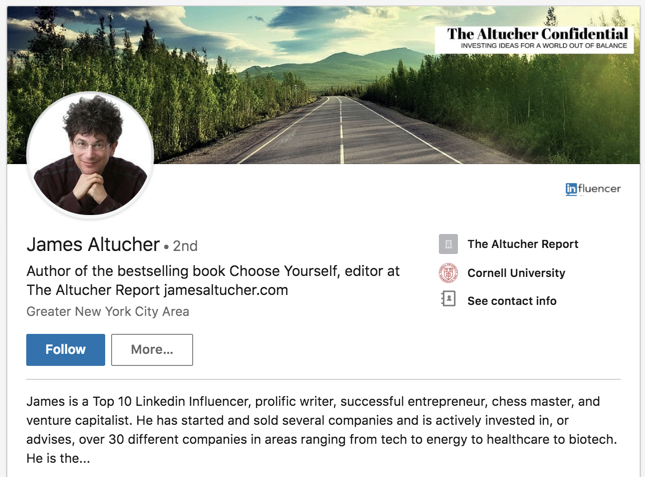 With more than 190K Twitter followers, 945K followers on LinkedIn and thousands of podcast fans, James Altucher is a great profile to gain inspiration form. The former hedge fund manager, blogger and entrepreneur is now an author and podcaster, providing fans tips and recommendations on how to be successful and happy in life. He usually shares quotes that get you motivated as well as photos of people he encounters, both famous and ordinary. By following him, you’ll stop questioning your goals and will want to go out and make them a reality! You know him as the founder of the Virgin Group and one of the world’s richest men. 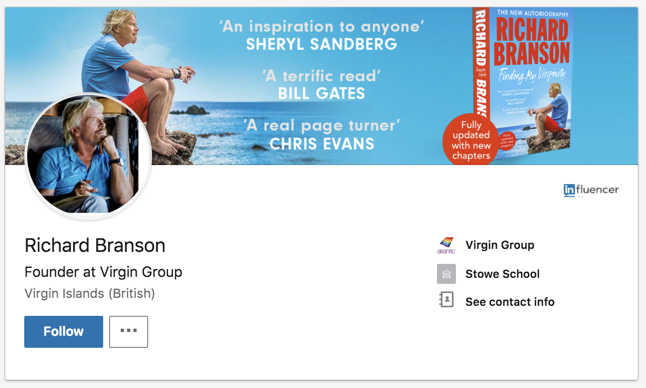 Richard Branson is also a thrill seeker, making the news with his crazy adventures. The famed entrepreneur is a great figure to follow to get inspired as he shares various useful resources with his fans. You’ll get tips on how to be successful, business tips, inspiring quotes and fun images of his wild antics. He has a very large following and his social media feeds are always entertaining as they are insightful. With a massive social media following, Mark Cuban is definitely an entrepreneur worth following! He’s a self-made billionaire with loads of great advice on how to achieve success just as he did. He’s also a judge on the TV show “Shark Tank” and owns various sports teams and other business ventures, so he knows a thing or two about how to make something from nothing. You’ll get great recommendation on business and technology as well as explanations on how he achieved success. His IG feed shows his business and personal side, as well as lots of inspirational quotes to get you motivated! 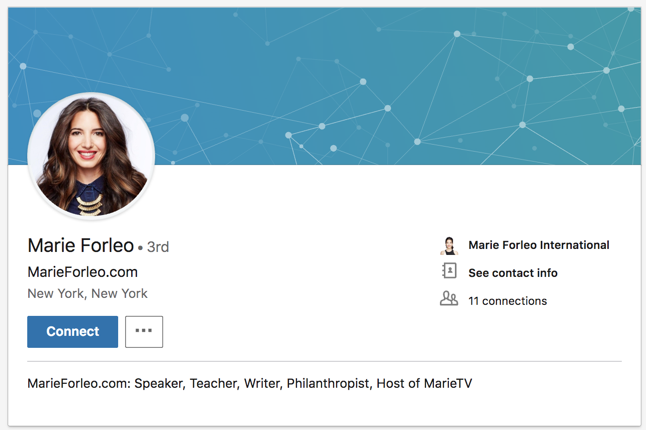 As a best-selling author and host of MarieTV, she’s the woman behind a successful online business training program she calls “B-School.” If you need inspiration on what you want out of life, follow Marie Forleo! She provides fans with recommendations on how to achieve the life you want to live and provides inspiring words to get you to do something about your goals. 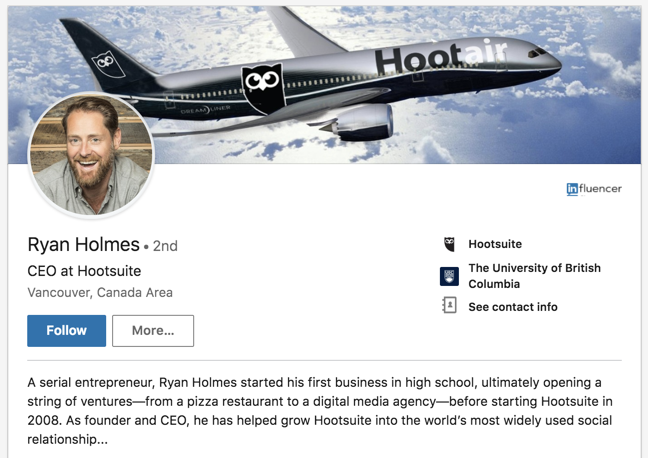 As the founder and CEO of Hootsuite, Ryan Holmes knows a thing or two about social media and creating a business out of it. He’s a big influencer on LinkedIn with more than 1.5 million followers. His social media feeds share insights on all things related to social media, as well as business, technology and entrepreneurship. It doesn’t matter if you currently follow any of the recommended entrepreneurs above, or a select few of your own — the power of the internet makes it easy and fun to learn from entrepreneurs of all different sizes and platforms. The most important thing to consider when following anyone online is to make sure they are legit. Don’t just read from the expert sites and social profiles themselves, also take the time to consider what others are saying and sharing with their audiences as well. If you enjoyed this article, don’t forget to check out this one on the top successful habits of email marketers! Want to build an online following of your own, or increase awareness and trust for your brand? Social media is a great way to accomplish this, but gaining followers through Twitter, Facebook, and LinkedIn simply isn’t enough. A better option is to build out your mailing list, so you can have subscribers coming back to your website time and time again. Another benefit with email marketing over social media, is that you won’t have to pay everytime you want to post a message outside of the dwindling organic reach offered by many platforms. To learn more about how to grow your mailing list through AfterOffers and our 100% opt-in lead generation methods, be sure to contact us today!